Ethiopia is a rich mosaic of nations, nationality and peoples. It is an ancient famous land of diverse cultures, traditions, religions and values. Ethiopia has a diverse population, with more than 80 distinct ethnic and linguistic groups with different culture, religious and life style. While you are traveling at every corner of the country, you will admire and experience different kinds of religious celebrations, festivals, daily people’s life styles and the range of traditional customs. Some of this people cultures are far from being influenced by the so-called modernity. From these cultural attractions includes the southern nations and nationality peoples like the konso, Hamer, Surma, Mursi, Arbore, Kara, to name but a few. The religious festival which includes, Meskel (the finding of the true Crosse) Lidet or Gena (Christmas) Timket (Ethiopian epiphany) Fasika (Ethiopian Easter) are the mean tourist attraction in the country and a colorful festival in the country. Ethiopia constitutes many Geological attraction like the great east Africa Rift, the afar Depression, Simien and the Bale massifs, the Sof-Omer Caves and blue Nile river are the major ones. The noticeable Geological attraction of Ethiopia is the Denakil Depression .Geologically one of the most active spots on the planet, located below-sea-level an average of -116. Dallol is one of the attractions in this area. It is an extremely hot and inhospitable place but you feel like you are in another planet. The relationship of the hot springs with the different kinds of minerals, form a mixture of colors. Erta Ale means the smoking mountain by Afar language. Erta Ale is one of the active lava lake in the world. The other interesting attraction of the place is the caravans of the camels for the extraction of “Amole Chew” the salt of bar. Negarit Ethiopia Tour and Travel is one of an Expert discovering the attraction of the Denakil Depression. Addis Ababa, the federal capital of Ethiopia, has remained as the seat of central governments for over 100 years. The city is also the seat of the African union, the United Nations economic commissions for Africa and other regional and international organisations, embassies and consulates. There are many tourist attractions in the city such as national museum where the 3.2 million years old Lucy is kept, the Ethnological museum, churches, Merkato- the largest open air market in Africa and more are must to be visited. 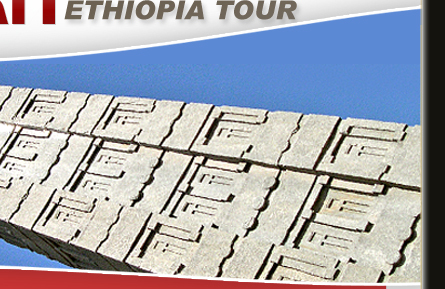 Axum is the birthplace of Ethiopian civilization and the most wonderful historical site. The St’ Marry of Zion church is where the original arc of the covenant is believed to kept, the giant Stele /obelisks and the ruins of the Queen of Sheba’s palace are have been found all around Axum. The town of Bahirdar is located on the shores of Lake Tana in the north of Ethiopia. Lake Tana is the source of the Blue Nile and has about 30 islands many of which are the sites of monasteries, with their religious relics and emperors crowns. The other attraction is the mighty Blue Nile falls which is found about 37 Km from Bahirdar, near the falls; visitors could also see the 17th century Portuguese Bridge. Gonder is known for the castles and palaces of 16th century, which are reflecting the civilization of the country at the medieval time. This medieval royal city has many things to offer for the visitors, like the royal enclosure, Fasileds’ Bath, Debre berhan selassie church and Qusqam complex. The walled city of Harar, one of the oldest cities in the country was founded in the 7th century A.D. The walls surrounding the old town of Harar, built by the Adare tribes to protect themselves against the attack of the neighboring tribes are still standing. Harar is an important Muslim city and an exemplary town for religious harmony between the Muslim and Christian Ethiopian. One of the cities attractions is hyena man, who feed to wild hyenas that live the surrounding hills. The Town of rock hewn churches of Lalibela, the eighth wonders of the world as many travelers and travel writers say, is Ethiopia’s prime tourist attractions. It is the site of eleven remarkable rock hewn churches, believed to have been built by king Lalibela, in the late twelfth or the early thirteenth century. These churches are excavated from the rock, sometimes hidden in enormous caves, are unable to believe that the churches are entirely made by man.. 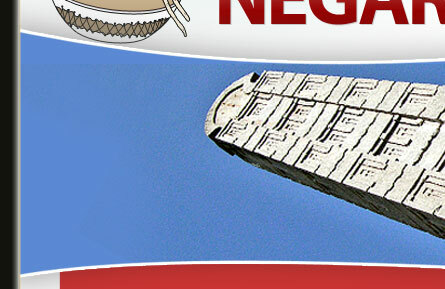 The history of Negash begins from the 7th century AD; it is the place where the first mosque was constructed in Ethiopia. It is also serves as enduring reminder of the warm welcome extended by the Ethiopian king of the time Nejashi Ashama,when those Muslims including the family of the prophet Mohammed includes his daughter, his cousin and his wives filed from persecution from their own land and found refuge in Ethiopia. Negash is considered by many the second most sacred place of Islamic worship and also for Ethiopian Muslims as” the Second Mekkah”. Ethiopia is not only a land of Cultural, Geological and Historic wonders, but also a land of divers and unique natural attractions. Among which the following are the attractive features. Abiyata Shala national park has been reserved for aquatic bird species like the great white pelicans and greater and lesser flamingo. Lake Abiyata is particularly the source of food for the water birds and Lake Shala is the breeding colony of great white pelicans. Awash national park is located in the northern part of the Great Rift Valley, 225 km east of Addis Ababa. The wildlife consists of mainly of Beisa Oryx, lesser kudu, Hamadryas baboon and also around 400 species of birds in the park. Bale mountains national park, which is found in south eastern Ethiopia at about 400 km from Addis Ababa. The mountains are most famous as home and refuge for the endemic Mountain Nyala and red fox, both these mammals occur in reasonable numbers enable visitors to see beautiful animals while trekking around the Senetti plateau. Gambella National Park lays in the western part of the country is the biggest national park in the country. The natural environment of Gambella national park has contributed to the presence of wide variety of wildlife, including the big mammals and birds. The Mago national park is located southwest of Addis Ababa close to the Kenyan border. The park is on the eastern bank of Omo River, mainly grass savannah and some forested areas around the river, mostly seen are plain animals. The name Netchsar means "white grasses" and refers to the central grassy plain which was established as a sanctuary for the endemic Swayne Hartbeest, an endangered sub-species throughout Ethiopia. Other wildlife in the park includes hippo, zebra, crocodile and different kinds of birds. Omo national park is located adjacent to the Mago national park by the western bank of the Omo River. The park is one of the richest wild life sanctuaries in Ethiopia. 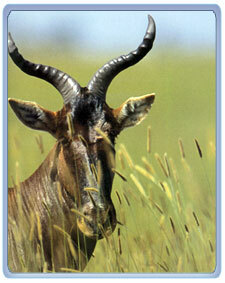 Omo national park is the home of big game animals like lions, leopard, cheetah, elephant, zebra and giraffe. More than three hundred species of birds are in habited the park including the endemic black-winged lovebird. The Semien mountain highlands constitute of the major mountain massifs in Africa. The region most marvellous of all Ethiopian landscapes includes the highest point in Ethiopia, the Ras Dashen, at 4543 meters ASL, the 4th highest mountain in Africa. The Semien mountain massif is the home to Walia Ibex, red fox and Chelada Baboon all are endemic to Ethiopia.